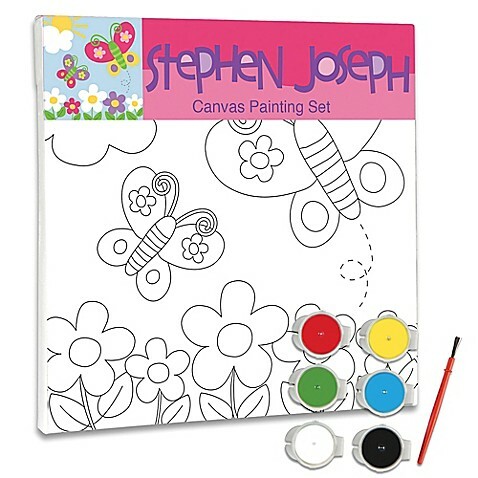 Give your little artist this cute Butterfly Canvas Set. It features an outline of a butterfly on the canvas so your little one can color in the lines, or out. The finished work of art is perfect to hang up and show off. Measures 8"l x 8"h and includes 6 colors of paint, brush. 100% cotton canvas.